It seems like many design magazines are adopting a young and fresh style these days. I was excited to see Jennifer Aniston gracing the front cover of on my favorite mags, Architectural Digest. The March issue has a look at the star’s recently renovated abode. And while some bloggers have expressed strong opinions about the style of Jen’s new home (I’m not naming names), I just love the feel of the cover shot where she is wrapped up on that cozy velvet chair. Friends from Architectural Digest shared that the chair is from New York-based company Lobel Modern. A trove of furniture and accessories from the 1940s through the 1980s, Lobel Modern offers some fantastic throw-back style that adds a little pizzazz to a modern space. After viewing their online selection I found a few pieces that I would love to integrate into my own modern interior. 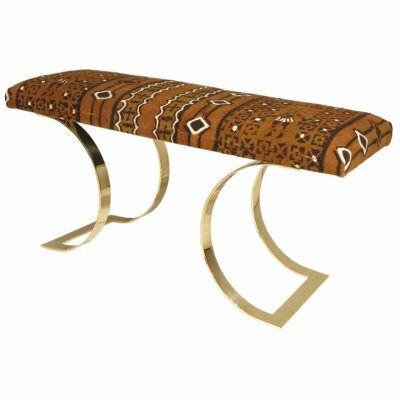 This funky curved bench covered in African Batik fabric. The brass legs say 80s, but the African print definitely feels AphroChic. 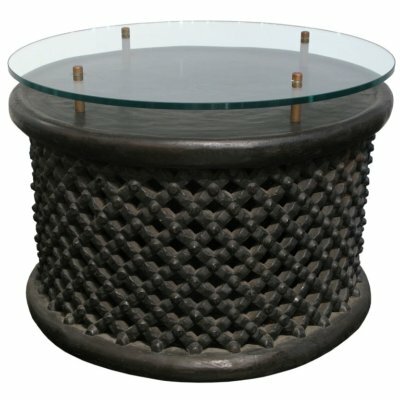 I have been wanting an African side table forever. I love this hand carved table, and the glass top adds a little bit of luxury. 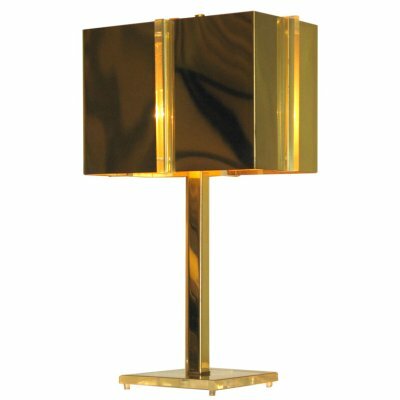 What girl doesn’t need a bit of brass and lucite at home? This would look gorgeous on simple entryway table. This lamp adds all the flair you need. So, have you read the March issue of Architectural Digest? What do you think of Jennifer Aniston’s home? Would you dare to bring some 80s style into your 21st century abode? 30% Off Amenity's Entire Site! AphroChic Featured On Elle Decor! AphroChic in the Home Furnishings Business Designer Look Book!